When we look to other solar systems is it really so surprising that there is a huge diversity of planets and systems out there. We only need look at our own to see how wacky some of these places are. So I thought I would compile a feature on the weird and wacky things setting our own solar system planets apart from each other. 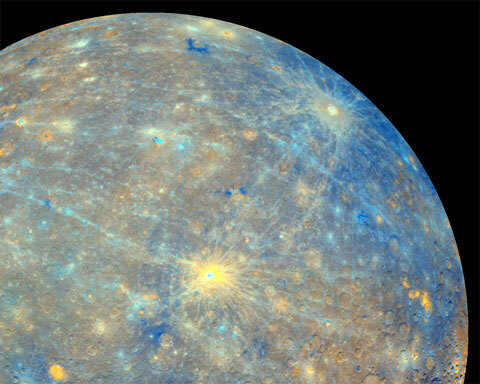 The messenger is the smallest planet in our solar system; land of the double sunrise; and home of the Caloris Basin. Mercury orbits the Sun in just 87 days while experiencing only one and a half of its own. After Pluto was excluded from the ‘Planet Club’ in 2006, it became the most eccentric planet in the solar system experiencing non-Newtonian motion as it approached perihelion each orbit. This motion also causes a unique phenomenon, the double sunrise, when the speed of the planet as it orbits the Sun overtakes that of its rotation; casing the sun to set and then rise again when the planet passes the point of closest approach. The goddess of love and beauty that will crush you down and melt your skin. Although not the closest to the Sun it is the hottest planet in the solar system, temperatures can reach up to nearly 500oC. This is due to high levels of volcanic activity on the surface and a surface pressure 92 times greater than that we experience on Earth; that is the equivalent of going 920 meters underwater nearly 3 times deeper than any scuba diver has ever gone. Labeled as Earth’s sister planet due to its similar size, its climate is anything but. With an atmosphere of over 95% Carbon dioxide, rain clouds of sulfuric acid, and little to no temperature variation between day and night it is a hellish place. Terra Firma. 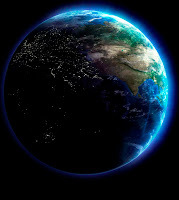 What more do I need to say about this weird and wacky world other than it has managed to produce a civilization of walking talking primates, who not only have an Internet of knowledge available at the click of a button, but who have ventured into space, beyond the realms of their heavenly home. Named after the God of War due to its vibrant rust red surface of iron oxide that covers a silica-rich dust bed. 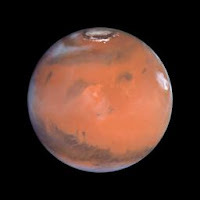 Mars is the most explored planet in the solar system, other than the Earth, with over 30 probes and satellites bound for the ‘Red planet’ since the 1960’s. Most of these missions, however, met their end before they had even begun. Those that have made it into Martian orbit, or successfully landed on its surface, have sent us staggering information about this not so distant world. And with three active satellites in orbit (Mars express, Mars odyssey, and Mars Reconnaissance Orbiter) and two live rovers on the ground (Curiosity and Opportunity), we are set to learn even more in the years to come. The largest planet in our solar system you could line up ten earths next to each other and it would still not stretch all the way across the face of this mammoth world. With an atmosphere of hydrogen and helium that stretches over 5,000 km in altitude it is truly the god of the Gas giants. 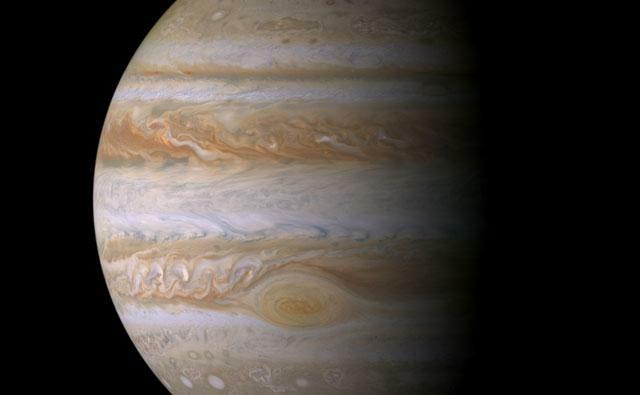 Jupiters atmosphere is host to the largest storm in the solar system that was first recorded in 1665, The Great Red Spot. The storm rotates anticlockwise roughly every 6 Earth days and is big enough to swallow the Earth whole three times over. 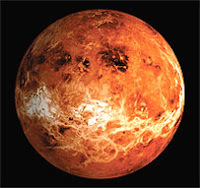 The center of the storm is hotter and redder than the surrounding area, although it is still not known what exactly causes the brick-red to pale salmon color of the gas as it swirls and processes around the planet. 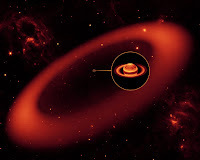 Apart from having a mean density less than water, meaning that with a bath tub big enough you would find yourself with a pretty impressive bath toy, Saturn is host to one of the most impressive sites in the solar system. Its rings. Saturn’s main ring system spans a distance almost as wide as the planet itself extending from around 6,500 km from the surface out to over 120,000 km. The latest ring was discovered in 2009 using the Spitzer space telescope and is the largest ring studied in the solar system with a thickness of 2.5 million km and reaching 50 times further out into space than the central rings. 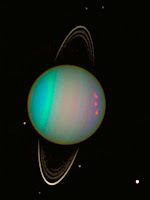 The first and only planet in the solar system named after a Greek god, Uranus is the largest of the ‘ice giants’ with an atmosphere of frozen; water, ammonia and methane crystals. While the axial tilt of the Earth set at 23.5°, affords us a beautiful mix of four seasons a year. Uranus is tilted at a staggering 97.77° making it barrel roll around the Sun like a drunken uncle at a wedding. This means that it has the most extreme seasons in the solar system with each pole experiencing 42 years of continuous sunlight in the summer, followed by 42 years of darkness in the winter. 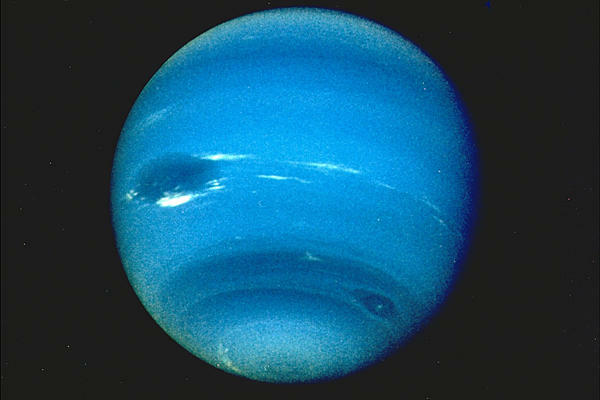 Aptly named after the God of the sea, Neptune gets its rich blue color from the methane in the atmosphere. Voyager 2 made the one and only fly-by of Neptune in August 1999 observing immense storm systems and winds wrapping round the planet with speeds approaching 600m/s, over 1,300 miles per hour. If you could stand on Neptune, without getting blown over or sinking into the atmosphere, you would weigh almost the same as you do on Earth with a surface gravity of 11.5m/s compared to the 9.81m/s here on Earth. Each of the planets in our solar system are wonderfully unique, so I can’t begin to imagine what the hundreds of exoplanets out there have to offer us.